Congress woman | Notes From America ! THE ANGRY ARAB WE SHOULD ALL LOVE.. REP. RASHIDA TLAIB. Rep. Rashida Tlaib, infamous mem!! ” … I want you to know that I will never apologize for being me, and for being passionate and upset” – coming from a color, Arab woman, you got to love it! 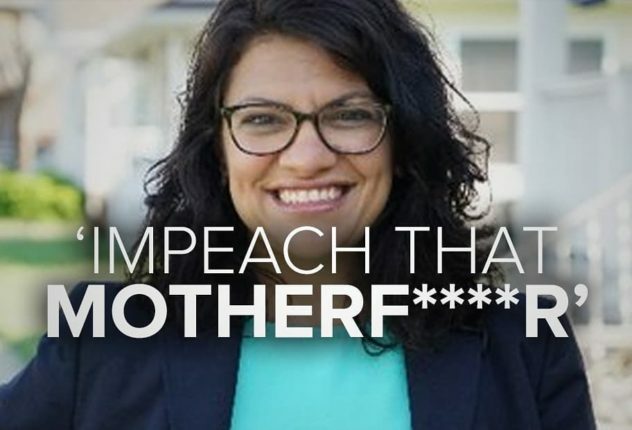 The hysterical reactions to Palestinian-American Congresswoman Rashida Tlaib using the M word, the mother of all cussing, had everyone wondering; was she going to apologise, was this helpful, and how was this going to heat up the new left and democratic party agenda. From Conservatives, liberals, the media, to mosques, churches and pulpits, republicans and democrats, men and women all showed a degree of outrage towards Representative Tlaib. Why was there such widespread outrage to Rep. Tlaib’s comments that took place in a bar to a group of her supporters, celebrating the first Palestinian Arab, Muslim women elected to Congress? People say worse than that in sports bars and restaurants. This wasn’t on national TV or at the White House. “I’m very passionate for fighting for us … I want to tell all women out there, be yourself, not hold back, don’t think you can’t get passionate and angry,” she insisted, injecting sexism and double standards used to box women into a traditional role and control not just her body but also her mouth. A Single Mum With 5 Children Running to Change Politics in Washington!